NEW FOR 2018! BOOK 5 IN THE "JIMMY WILSON" SERIES! 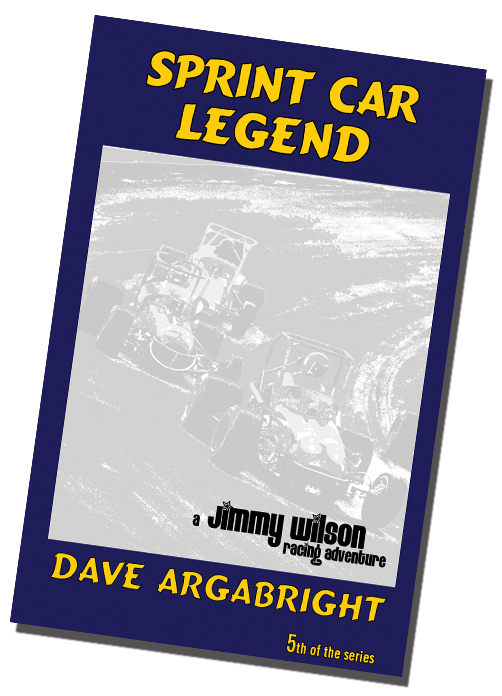 Sprint Car Legend is the fifth book in Jimmy Wilson saga. It's the latest "season" for Jimmy, as he meets a legendary new friend in his quest for the USAC title. With some serious issues to deal with along the way, Jimmy and his crew--Jack Harvey and Slim MacDonald, along with car owner Sonny Ellison--work hard to stay focused on chasing the title. This volume is filled with intense racing and emotions! The popular and long-running "Best of Times" fictional series in SprintCar & Midget Magazine is the basis of this edition, thrilling readers with the cheers and tears of sprint car racing in the 1970s. The entire set of five books just $49.95!